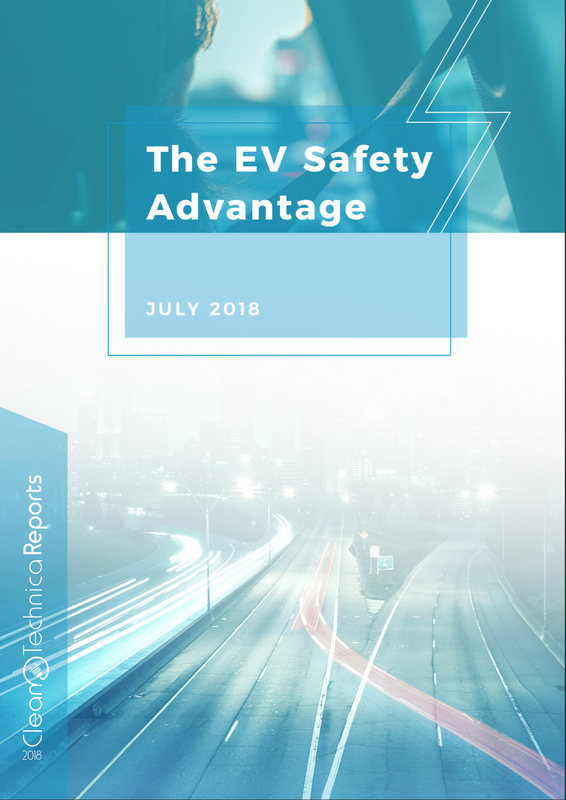 Earlier this year, we published a free report on EV safety, The EV Safety Advantage. 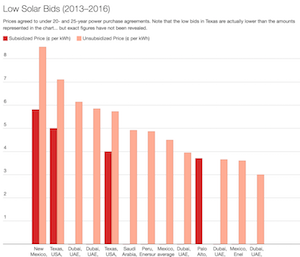 As we approach the end of the year, we’re publishing sections of that report as articles here on CleanTechnica. 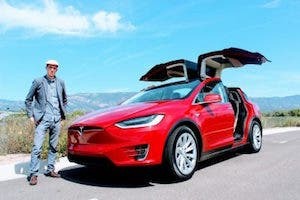 In IIHS moderate overlap test ratings, plug-in electric vehicles and hybrids have a nearly 100% “Good” rating, whereas gasmobiles have a chunk of “Marginal” ratings and even some “Acceptable” and “Poor” ratings. 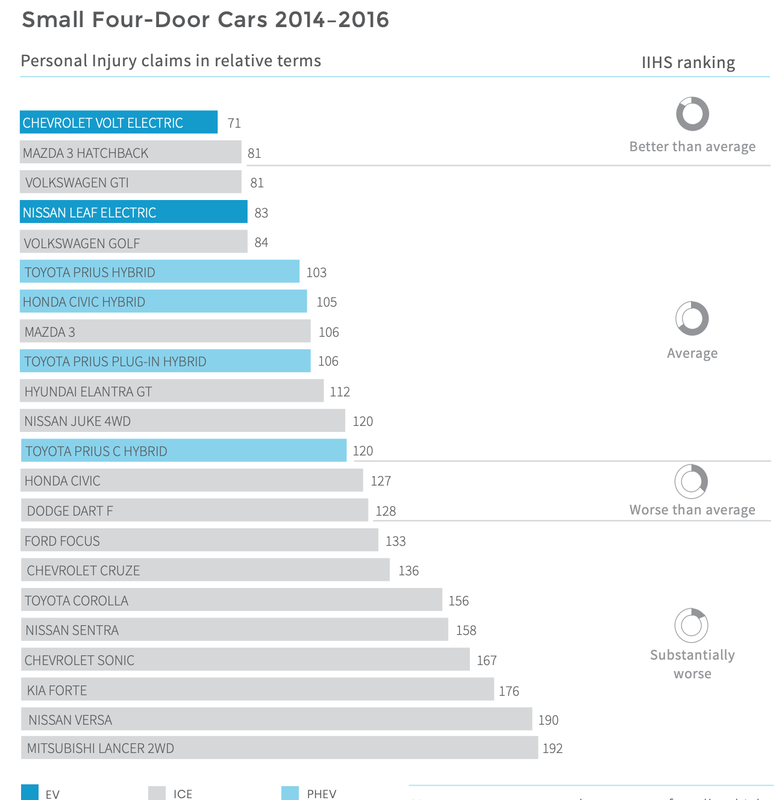 Similarly, plug-in electric vehicles and hybrids perform notably better in the IIHS’s small overlap test ratings. 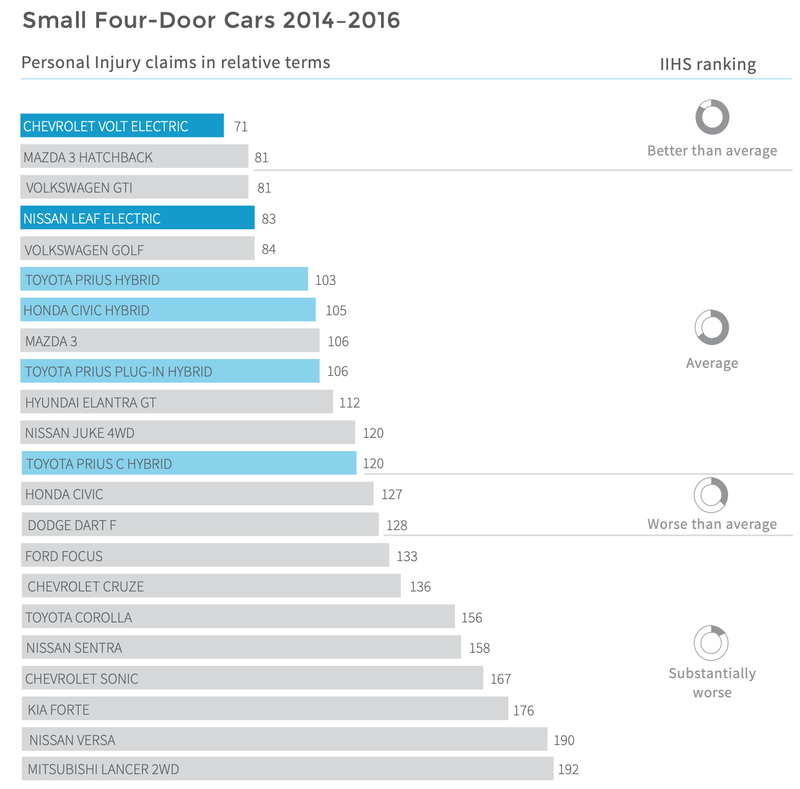 In IIHS side impact test ratings and roof crush test ratings, plug-in electric vehicles and hybrids again have significantly better scores than gasmobiles. The IIHS and Australian NCAP have crash tested 42 hybrid and/or electric vehicles in various test scenarios. 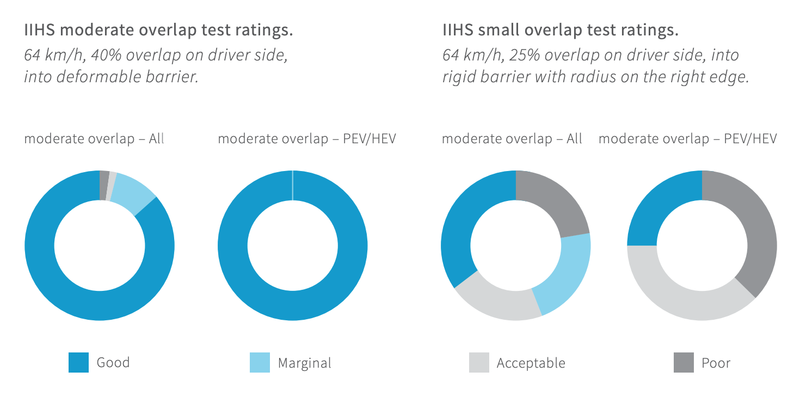 Ratings of good, acceptable, marginal or poor are awarded to the vehicle in each test mode by IIHS. 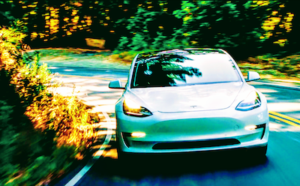 ⇒ The electric/hybrid vehicles have a higher proportion of good IIHS ratings in the moderate overlap front test, side impact test, and roof strength test than conventionally powered vehicles from the same vehicle classes and model years. 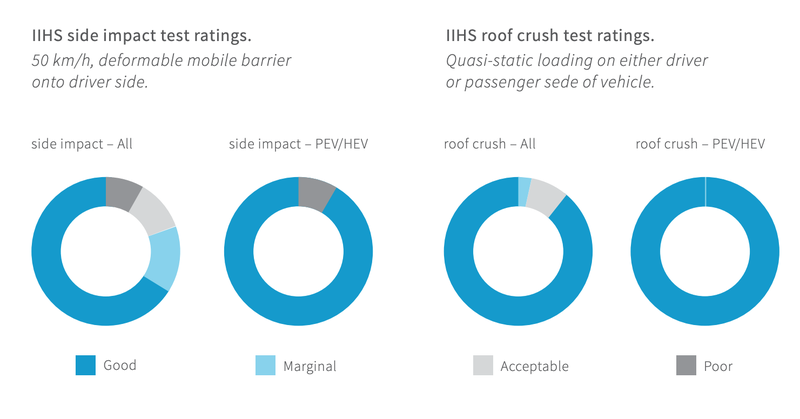 ⇒ Three IIHS small overlap crash tests of electric/hybrid vehicles resulted in poor structural ratings, and six IIHS side impact tests resulted in acceptable structural ratings. However, the area surrounding the vehicles’ high-voltage battery (RESS) was intact in all cases, with no electrical safety issues. Moreover, of the 12 HEV/ PEV models tested since IIHS incorporated a 2-week posttest observation period, none have caught fire. 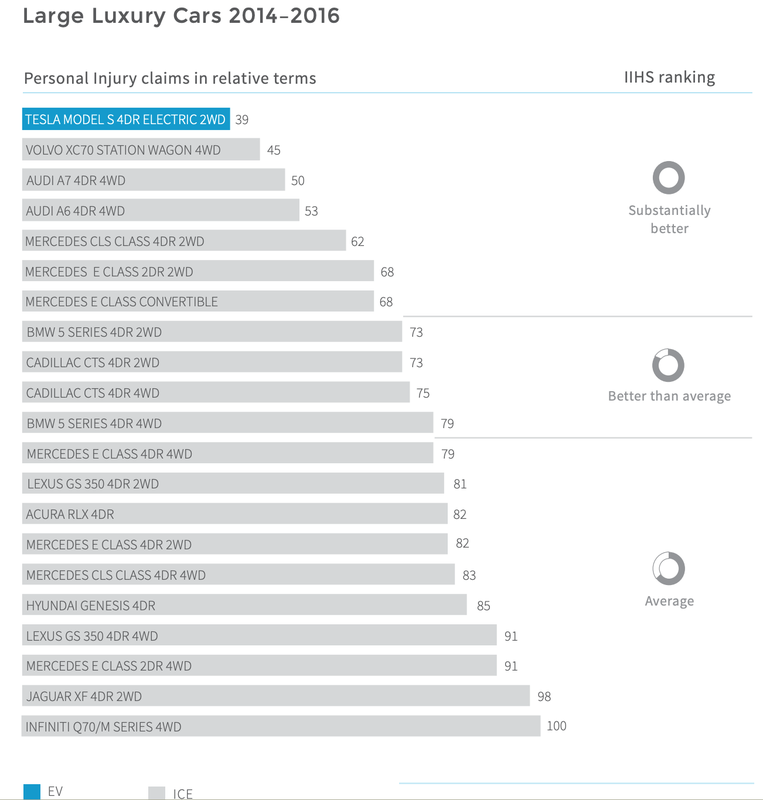 Analyses included 25+ hybrid-conventional pairs, all 2003-20011 models with at least one collision claim and at least one related injury claim filed under personal injury protection (PIP) or medical payment (MedPay) coverage in 2002-2010. Due to the extra weight of RESS, hybrids are 10% heavier than their conventional counterparts. This extra mass provides a slight safety advantage in some types of crashes, such as those involving other vehicles. ⇒ A study by the Highway Loss Data Institute estimated the odds that a crash would result in injuries if people were riding in a hybrid vs their conventional counterpart. ⇒ The results of the study indicate that injury odds are lower in electric vehicles than in their conventional counterparts. 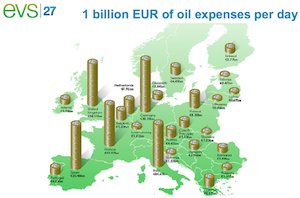 Note: 100 represents the average for all vehicles under a given coverage type. For example, a result of 122 is 22 percent worse than average, and 96 is 4 percent better than average. 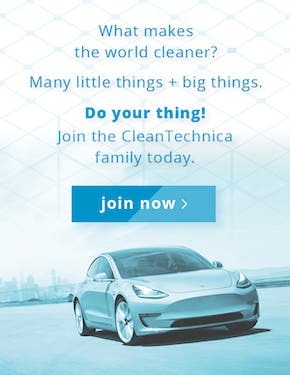 For more on this topic, download The EV Safety Advantage, a free report from CleanTechnica.